The crusty vintage BMW Boxer on the jacket cover is what initially caught my attention in the bookstore but the well written and thought provoking content is what kept me entertained. Matthew B. Crawford, author, philosopher, mechanic and PhD takes us on a journey through the world of work. Destroying the myths of the high-prestige workplace while enlightening us on the joy of working with our hands, which he surmises is a rapidly declining commodity in today’s throwaway society. His background as both a “knowledge” worker and tradesman empowers him with an intimate understanding of both worlds. After years working as an electrician (a necessity required to pay for his University education) he ultimately shuns his high salary “Think Tank” job to open his own small motorcycle repair shop. 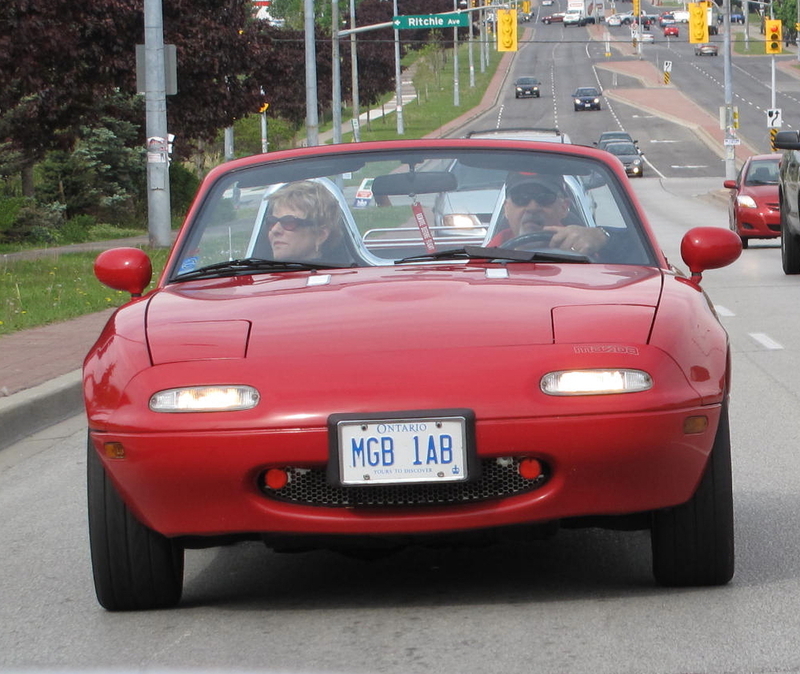 Sam and Irene in their 1990 Mazda Miata….MGB Wannabe! 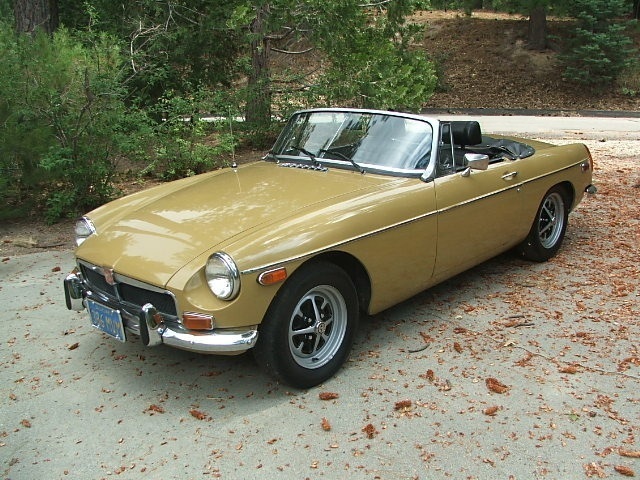 In the spring of 1976, after returning from Frobisher Bay on Baffin Island, I purchased a beautiful, low mileage, 1974 MGB. As a twenty-two year old apprentice aircraft mechanic with Nordair, I had diligently saved my Arctic isolation pay. The little British roadster was my reward for the many lonely nights surviving in various frigid northern outposts. With just 8000 miles on the clock and optional electric overdrive, it was in pristine condition and a joy to drive. On one memorable trip, after working a very busy midnight shift in Dorval, I headed to Toronto. I was tired but figured if I kept the roof down the windblast would help to keep me awake. I suddenly awoke at the wheel with the sound of gravel under the wheels. The electric overdrive was doing a fine job and the speedometer was reading 95 MPH. I was gently fishtailing on the soft shoulder of the 401. I cautiously nudged the car back on to the asphalt and the subsequent adrenalin rush, along with multiple large coffees, kept me wide-awake for the balance of my journey. In hindsight it was a mindful, miraculous, moment in a merciful MGB.